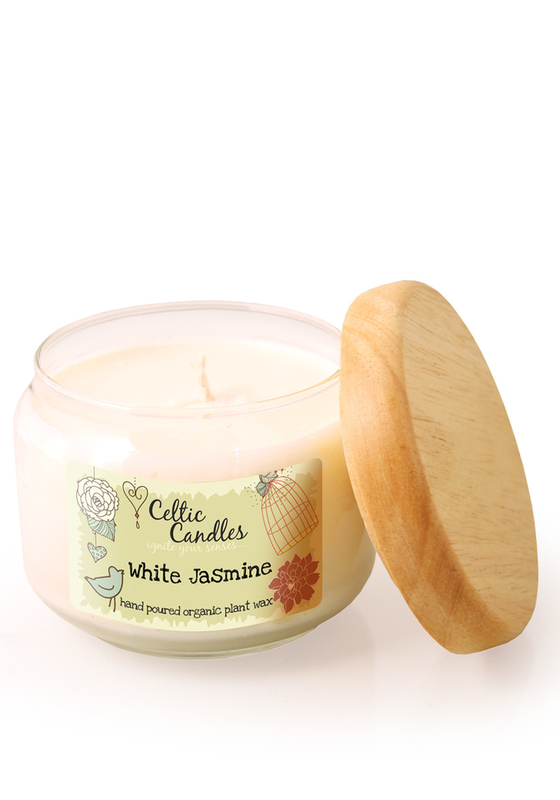 Ignite your senses with this beautiful White Jasmine candle from the Celtic Candles collection. A long lasting candle that will burn for up to 45 hours with no waste. This beautiful scented candle has been crafted from 100% organic plant wax.